It is never a great day to have your vehicle to be towed. Some drivers may have experienced vehicles breaking down for some unknown reason that cannot be fixed or diagnosed on the road. In most scenarios, they end up calling towing services for assistance. 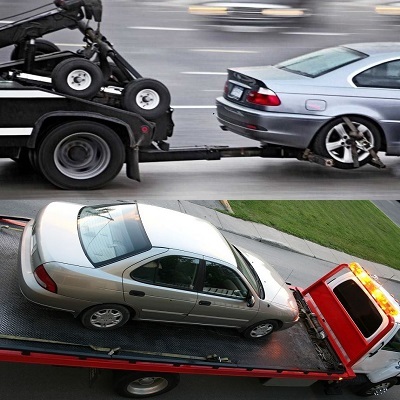 However, many people are doubtful about having their automobiles towed, assuming that it might be damaged during the process. This is not an unusual concern; while it is possible for the vehicle to experience harm when handled by people who do not know how to tow, it is unlikely when managed by professional tow truck operators. If towed incorrectly, additional damage can occur to vehicles. Beyond bad operator error, you really should expect no damage if towing is done accurately. When the tow operator arrives at your location, the tow truck driver will ask you to put the vehicle in neutral. Towing a vehicle without getting it in neutral is like to cause damage to it. This is because if not put in neutral, the tires will not turn when being towed along the road. 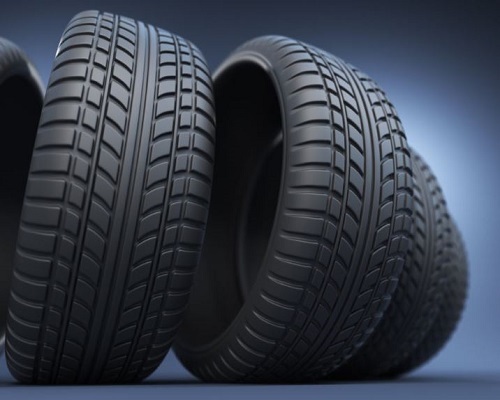 Not only will this cause damage to the connections between the transmission and wheels, but it also will lead to wear and tear, as well as skidding to the tires. Engaging a vehicle in neutral is less likely to cause damage to it. However, it does not mean it is damage proof. Damage is still likely to occur if the vehicle is towed over long distances with wheels on the ground. Turning the wheels over a period of time will lead to overheating to the transmission as the engine is not able to assist in regulation. When towing two-wheel vehicles, it is vital to note the type of transmission the vehicles have. Vehicles with a manual transmission are less susceptible to the possible harms. As for two-wheel drive automatic transmission vehicles, short distances are fine, but towing over long distances will take a toll to the vehicle. In addition, towing should be done at low speeds for automatic transmission vehicles. Towing all-wheel-drives or four-wheel-drives are unique situations. Depending on the transmission design and transfer case, the towing process can get complicated by the aforementioned items. The vehicle is limited to towing over short distances at slow speeds for certain designs. The safest approach is to remove the rear drive shaft temporarily and tow the rear wheels on the ground. It is recommended to check the owner’s manual for towing instructions. 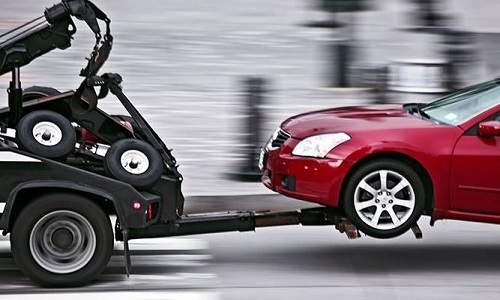 As there are improved and new automobiles up and about on the roads, there are times when towing operators may not tow the vehicle in a suggested way. Should this happens, speak up and talk to the towing operators. One way to correct or help them (which in turn helps yourself) is to keep the owner’s manual with you in the vehicle and refer it to the towing operators should they need guidance. Whether it is to haul the vehicle from the front or back, flatbed towing is able to minimize the chance of damaging the axles or transmission. This is because it has a winch system to pull the vehicle onto the platform or the rear end of the flatbed tow truck, and the wheels will not come into contact with the ground while towing. The towed vehicle will be secured with towing straps or chains in a stationary position while being transported. One of the most important issues you can do when waiting for help is to stay calm. Try to pull over at a safe and secure spot if possible, and call for roadside assistance. Towing can be technical which requires specific equipment and training. Without the knowledge and experience, towing by your own can cause unnecessary damage to the vehicle. A wrong decision will lead to expensive repairs. 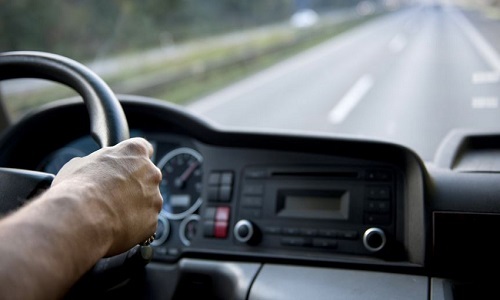 In addition, depending on the roadside situations, it can also put the driver in a possibly unsafe condition.